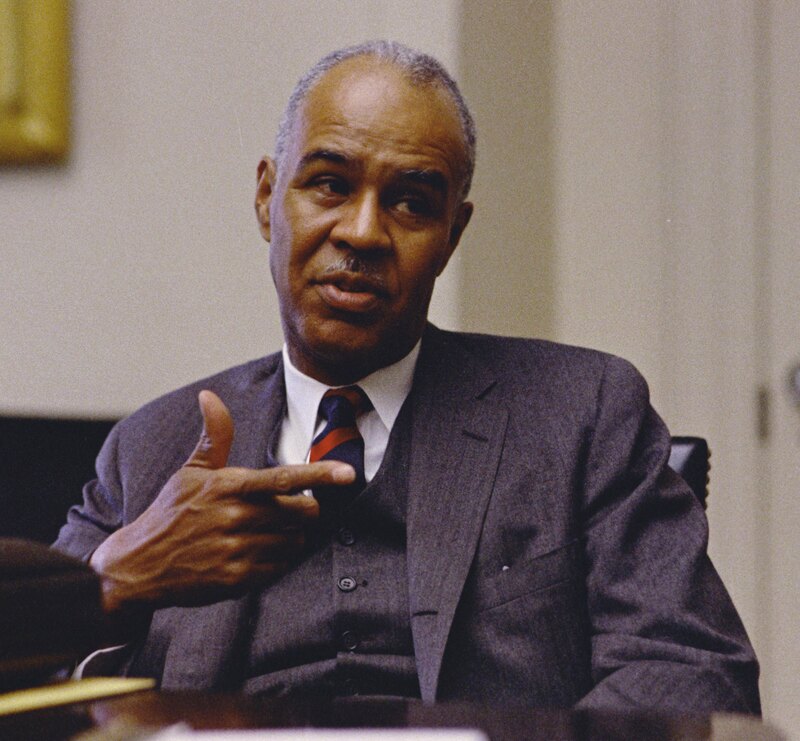 September 8, 1981 Roy Wilkins, prominent civil rights activist from the 1930s to the 1970s, died. Wilkins was born August 30, 1901 in St. Louis, Missouri. He earned a Bachelor of Arts degree from the University of Minnesota in 1923. In 1931, he became Assistant Secretary of the National Association for the Advancement of Colored People. From 1934 to 1949, he served as the Editor of the Crisis Magazine, the official organ of the organization. In 1955, Wilkins was named Executive Secretary (renamed Director in 1964) of the NAACP. In 1950, he co-founded the Leadership Conference on Civil Rights. Wilkins participated in the March on Washington for Jobs and Freedom (1963), the Selma to Montgomery march (1965), and the March Against Fear (1966). In 1964, Wilkins was awarded the NAACP’s Spingarn Medal for his service to civil rights. In 1969, he was awarded the Presidential Medal of Freedom by President Richard Nixon. Wilkins retired from the NAACP in 1977. 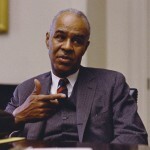 His autobiography, “Standing Fast: The Autobiography of Roy Wilkins” was published posthumously in 1982. The Roy Wilkins Centre for Human Relations and Human Justice was established at the University of Minnesota’s Humphrey Institute for Public Affairs in 1992. January 6th in African American History – Louis Emanuel Martin, Jr.